Looking for external cargo lifting solutions which are quick and cost-effective? We can provide you with a helicopter Airbus H-350B3 which is equipped with a cargo hook that can lift (depending on the altitude and temperature) up to maximum 750 kg of external cargo. 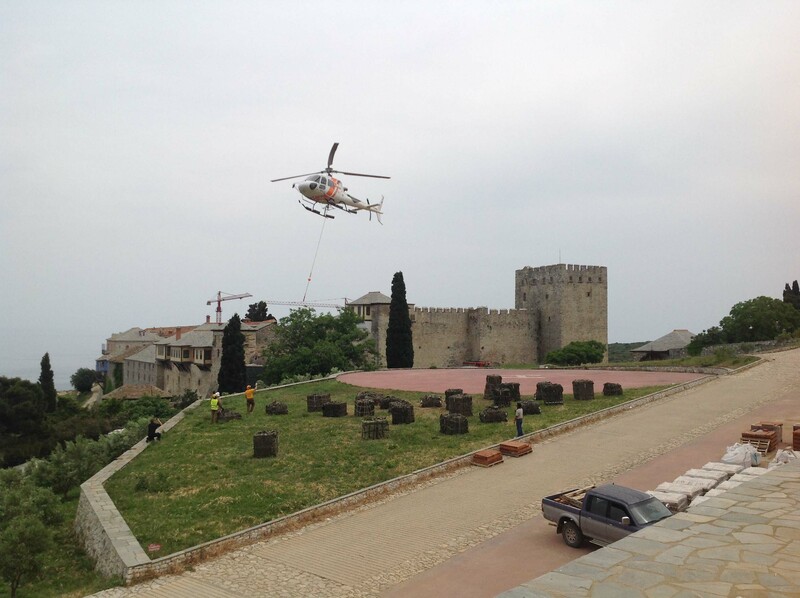 These kind of aerial lifting operations are especially popular during the winter season in Greece. Transport of technicians and equipment to e.g. broadcast towers, transmitter masts, antennas, etc. 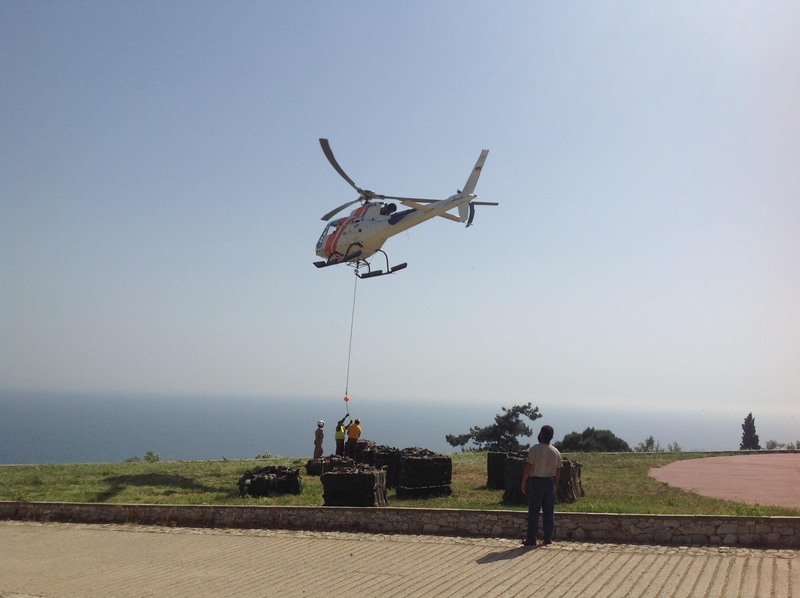 Using a helicopter provides you with fast access to a site which is especially handy in case of failure or emergency. 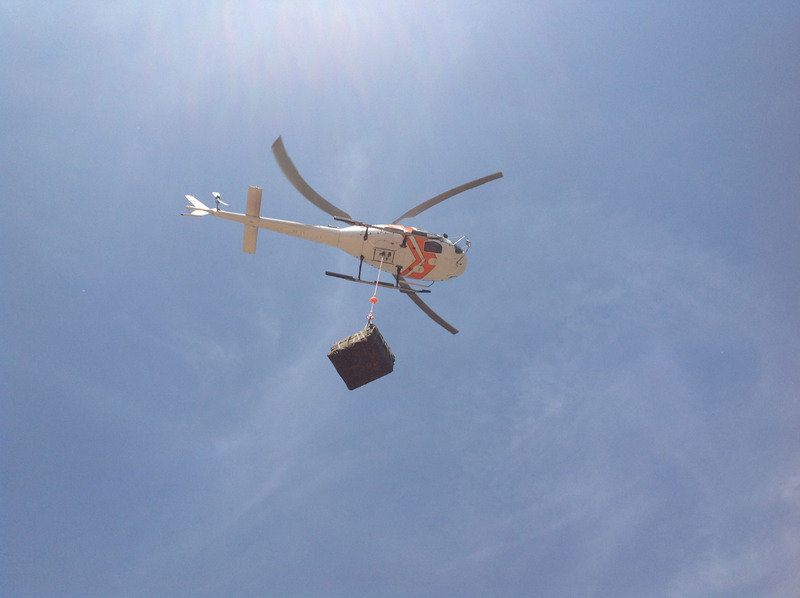 Our helicopter load lifting services are provided by a professional team and crew that hold years of experience in similar operations, so you can rest assured that the job will be done safely and to the highest safety standards. The pricing for using external cargo lifting services is very cost-effective and this type of service has seen a substantial increase in demand from construction companies and contractors operating in windmill parks. 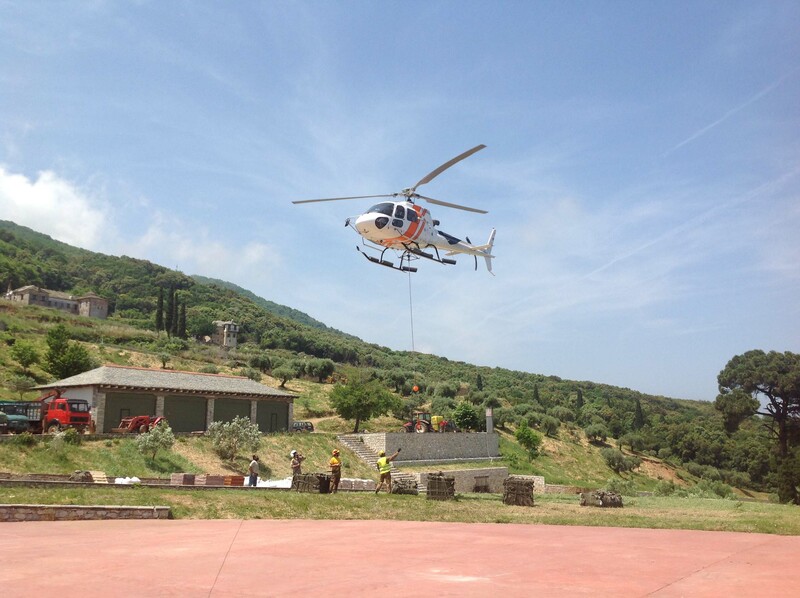 In September 2012 Air Business International executed a two-day external cargo lifting project which involved the successful movement of 60 pipes with a helicopter from Arsanas to the Monastery of Saint Gregory. 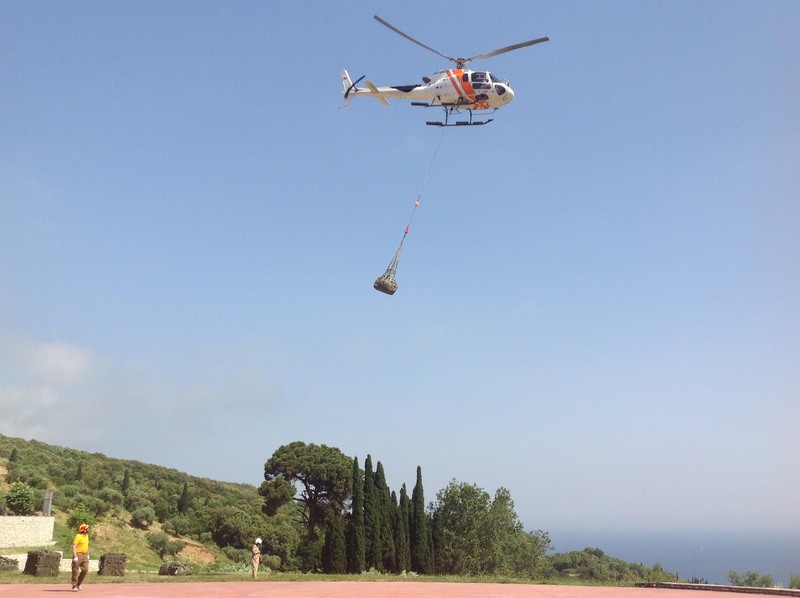 A successful external cargo operation was executed in the area of the island of Hydra which involved the transfer of 44 packs of marble and a church bell weighting 450 kg. The cargo was transferred from Palamidas area (coordinates 37° 19’ 52,44’’ North and 23° 25’ 44,10’’ East) to Profitis Elias church, on the island of Hydra. Our goal is to utilize the most appropriate helicopter for the mission, to ensure the most cost-effective, fastest and safest task completion. Contact us today so that we can plan a safe and efficient transport method for you.